As part of the London Philharmonic’s acclaimed “The Rest Is Noise” Festival, celebrating contemporary orchestral music, on 6 November Tõnu Kaljuste led a performance of pieces by Arvo Pärt and Sofia Gubaidulina. Tõnu Kaljuste is one of the foremost choral directors in the world while he has also won acclaim for his non-choral orchestral leadership. The son of Heino Kaljuste who played an active role in keeping the Estonian choral tradition alive during the Soviet occupation, Tõnu Kaljuste has become a global ambassador of Estonian choral and orchestral music. Kaljuste’s performance at the Royal Festival Hall juxtaposed three works by Arvo Pärt with the Offertorium of contemporary post-romantic Russian composer Sofia Gubaidulina. In purely musical terms, Pärt and Gubaidulina are very different composers. Gubaidulina is best known for heavily dissonant music with often dark and caustic overtones. Her music is evocative, impassioned and deeply intense. 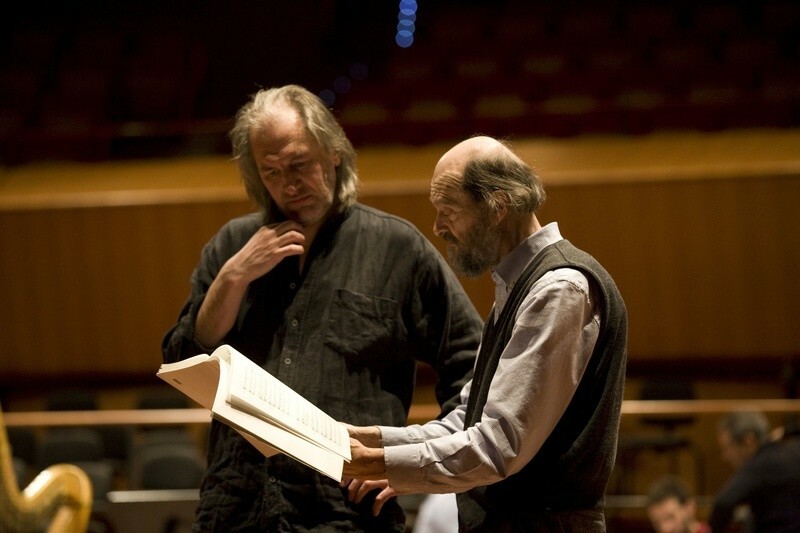 Pärt by contrast is a master of harmony and is particularly noted for integrating pre-classical and indeed pre-baroque harmonies with modern techniques. Pärt’s music is meditative, introspective and deeply personal. Yet the personal convictions with which Pärt and Gubaidulina compose are actually very similar. Both Gubaidulina and Pärt were out of step with the materialist Marxist philosophy which underpinned the ethos of the Soviet society. Even today, the worldviews of Gubaidulina and Pärt are just as removed from contemporary trends in Russia and Estonia, respectively, as they were from that of the Soviet Union. Both Gubaidulina and Pärt recognise a deep spiritual motivation behind their art and, more specifically, both are devout Orthodox Christians. Russia’s contemporary religious settlement is of course varied and complex due to the substantial size and ethnic diversity of the Russian Federation. In this sense Pärt’s relationship with modern Estonia is even more intriguing as he is a devout convert to Orthodox Christianity in a small country which is noted for being among the most secular in the world. When one understands the spiritual nature of the compositions of both composers, it becomes clearer why Kaljuste choose to juxtapose them in the programme. Adding to the intrigue, many if not most of the composers featured in “The Rest Is Noise” festival are thoroughly modern in their outlook. Previously the festival has featured compositions by the thoroughly modern Frank Zappa and indeed the futuristic Stockhausen. The first piece of the evening was Gubaidulina’s Offertorium. 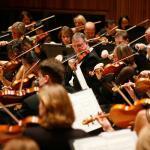 The piece is supremely intricate and demands a supreme belief from all those performing it. Violin soloist Sergei Krylov played with a passion that rivalled the great violin soloists of the recent past. His heavy vibrato and highly intense intonation at times recalled that of David Oistrakh, this in spite of Krylov’s notably small physical presence. The audience responded with great enthusiasm to the piece and much to the delight of those in attendance, composer Sofia Gubaidulina walked frailly to the stage to take an ovation for her composition. The second half of the programme was devoted entirely to the compositions of Arvo Pärt. Contrasting the full orchestra, complete with full percussion, piano and celesta employed during the first half, Kaljuste opened the second portion with Pärt’s Magnificat for choir. The London Philharmonic Choir performed the piece with all the celestial etherealness and devotion that Pärt’s composition requires. In spite of his stellar performance of Gubaidulina’s Offertorium, it was during the Magnificat that Kaljuste truly revealed the full extent of his artistry, bringing Pärt’s vision to life in the most sincere way imaginable. Without pausing between pieces, Kaljuste continued from the Magnificat into Pärt’s Cantus in Memoriam Benjamin Britten, an elegy for the English composer who celebrates his centenary this year. 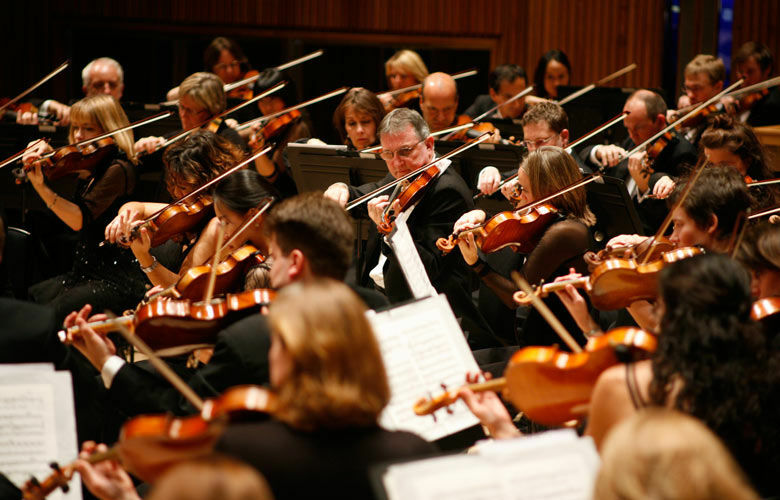 The full string section of the London Philharmonic responded with a warmth and depth creating a fitting tribute to one of Pärt’s most cherished musical heroes. Finally, the string section and choir united to perform the finale of the evening – Pärt’s introspective yet deeply comforting Berlin Mass. Without replicating the forms of romantic sacred music, let alone the technical aloofness of many contemporary masses, Pärt’s piece struck the perfect balance between the ethos of the ancient and the aural pallet of the modern. The Berlin Mass is a piece which conjures the weight of a thousand years of devotion yet one whose tones are complimentary to the modern world. Kaljuste’s interpretation fulfilled both of these elements, this in spite of leading an orchestra and choir who do not perform the piece with regularity. Tõnu Kaljuste demonstrated that he is not only one of the great global ambassadors for the unique music of Arvo Pärt, but also that he is a maestro capable of leading one of the world’s premier orchestras in pieces which are technically challenging but which are also deeply emotionally rewarding. As one of the final concerts of “The Rest Is Noise” festival, Kaljuste proved that musical clichés about contemporary music ought to give way to a more unified notion which combines technical intensity with emotional sincerity. EstonianWorld would like to thank Kristel Oitmaa, Cultural Counselor at the Estonian Embassy in London, and Estonian Embassy in London for their collaboration in preparation of this review.